"...if we only have bricks one shape, size, and color, what we build with them remains limited; but if we build with pieces of various shapes, sizes, and colors, our creations will be infinitely more interesting." I couldn't resist this one, because Lego has been pretty important in our family. When I first became a mom, I always said that if I could only buy my kids one toy, it would be Lego. As a toddler, we got my daughter Lego Primo, which was basically Lego for babies. 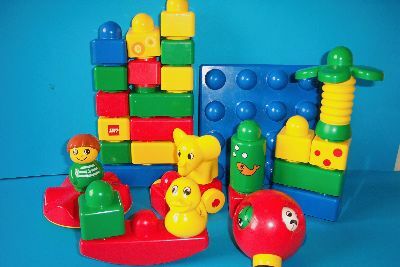 I was a stay-at-home mom then, so we spent a lot of time building towers and castles. 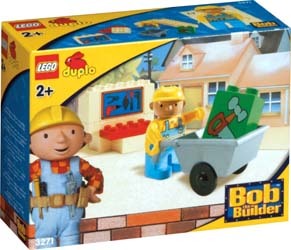 Later we moved on to Duplo, and my second daughter got really enthralled with "Bob the Builder". Finally, my kids graduated to regular Lego. 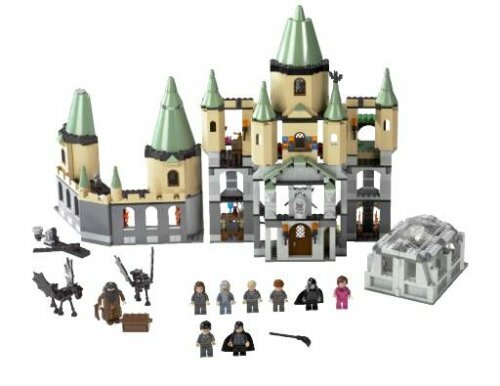 How exciting to find that Lego brought out sets based on Harry Potter, the perfect combination of a favourite book and a favourite toy! I also love the sentiment of this quote. It's so easy to get wrapped up in your writing and figuring out how to get the time to write. But it's all those other fun (and sometimes not so fun) things in life that give you material to enrich your writing. It's important to feed your imagination with a variety of experiences! Do you have a favourite childhood toy? Do you include toys when you write for children? Legos are one of the most inventive toys ever produced. There is always something new to do and discover. I haven't thought about toys in my writing...thanks for putting that bit out there. Yeah, I should think more about the toys my characters might have. My contemporary novel does have toys in it, though the MC is at an age where she's reluctant to give them up but doesn't play with them much. Hmmm -- Yes, actually there ARE toys in the book I'm querying. Those are my favourites, too! Andrea, BTW, I've put your amazon gift to good use and purchased SAVE THE CAT and PLOT VS. CHARACTER by Jeff Gerke. Thanks again! That's wonderful, Marcia! I haven't read Plot vs. Character. You'll have to let us know if it's helpful. We have Legos in all different sizes, from big to itty-bitty. My kids love them. I just wish they were easier to clean up. I have Legos everywhere! My kids have shelves in the closet dedicated to Lego structures they've made and aren't ready to take apart yet. They also had those large "under the bed" bins to keep their Lego in. I write for teens, so the answer is no to the toy question. I can't remember my favorite toy. Probably my stuffies and dolls. I didn't like Lego much. Not like my daughter likes it. My brother was the king of Lego.